Northwest Health Services is a not-for-profit FQHC (Federally Qualified Health Center) serving 15 counties in Northwest Missouri. We accept Medicaid/Medicare, Private Insurance/Pay, and offer a Sliding Fee Scale for individuals and families who are uninsured. Northwest Health provides primary care services to all ages. We treat everything from bumps and bruises to colds, flu and more serious health conditions. We can provide the majority of what you need, and when specialty care is needed we can help coordinate it. Northwest Health offers a full complement of preventive and restorative care for your teeth. Its gentle care you need for a lifetime of healthy smiles. Northwest Health knows physical health and well-being is affected by your mental and emotional health. That’s why we integrate behavioral health services into disease managements and into our primary and preventive care setting. We also provide the Medication-Assisted Treatment Program, which treats individuals addicted to opioids through suboxone and counseling. 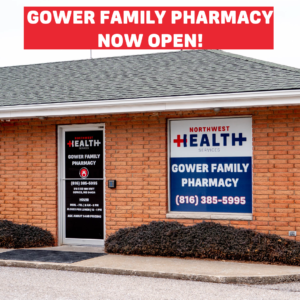 Along with providing traditional pharmacy services, Northwest Health’s pharmacy has other means of supporting our patients. Through drug discount programs (340B), sliding scales and other means we work with our patients to ensure they're receiving the most affordable pricing. Our diabetes management services provide qualified staff to educate and create personalized plans for individuals living with diabetes. These services give individuals the resources, education, empowerment and support they need to be successful with self-management of diabetes. Feeling Sick on Saturday? Sore Throat? Flu? Aches? Just walk in and we’ll see you. 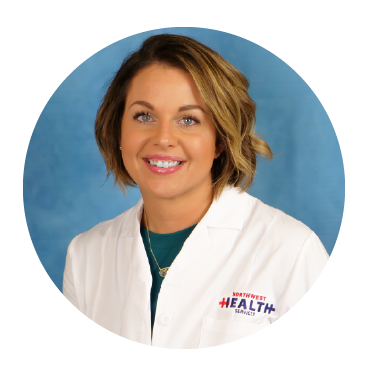 SATURDAYS / 8:00 a.m. - 12:00 p.m.
NHS would like to give a warm welcome to Cari Blackburn, FNP at our Braymer Medical Clinic. Cari is now accepting new patients! March is National Kidney Disease Month. According to the National Kidney Foundation, kidneys filter 200 liters of blood a day, help regulate blood pressure and direct red blood cell production. But they are also prone to disease; 1 in 3 Americans is at risk for kidney disease due to diabetes, high blood pressure or a family history of kidney failure. 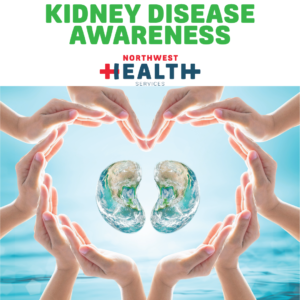 There are more than 30 million Americans who already have kidney disease, and most don’t know it because there are often no symptoms until the disease has progressed.